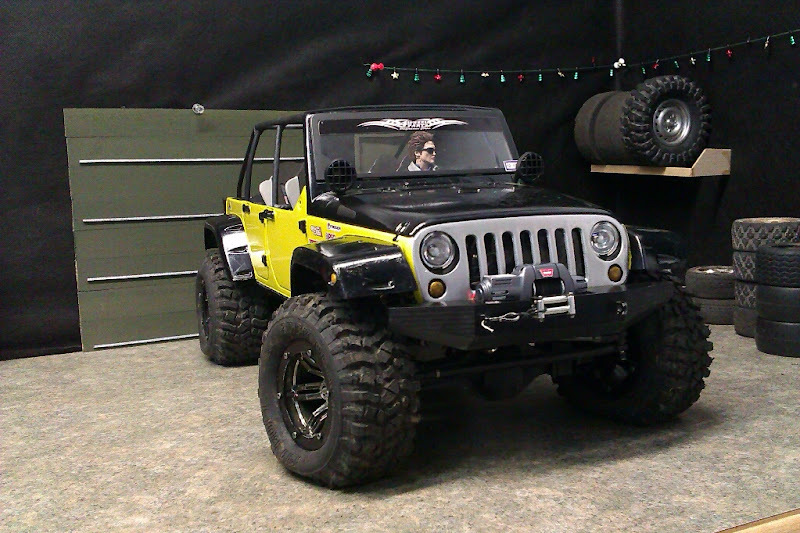 As you may know from our 2010 thread on the Raven JK Jeep Build, we had begun a while ago doing some updating and upgrading on this rig, and it started to become a build of it's own! So we have a new thread here that will keep the new look and new ideas in one place, and let the JK Raven live on in it's own thread. I get comments and questions all the time about the equipment in the trucks built here. So I'm going to list it all as best I can remember. 3Racing winch and HeyOK controller 2pos switch tap. The rebuild included some new body mounts, solid aluminum units that make the body as solid as a rock, really a one piece unit with the frame now. That's great for keeping the wiring in line through the truck, and eliminates some odd wire cracking or other things sliding around like they did before. I like solid solid mounts. You can have a look at the front mounts in this mounting video here at this link. One of the main changes on this rig now is the rear lighting. We ditched the flat panel lighting and went back to the stock JK rear lights with guards, of course still using reverse lights, park, and stop lighting. 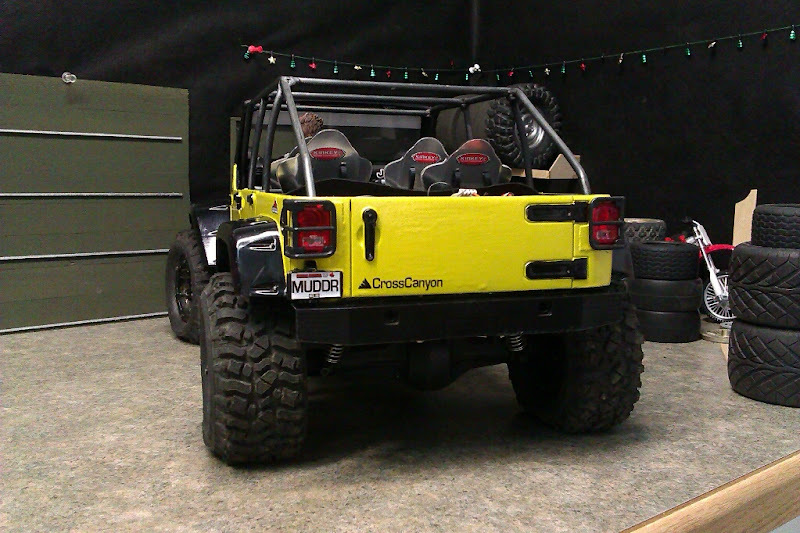 Along with the new paint base color, we added some stickers to keep it on the offroader theme. Leaving the 'Raven' Black hood and graphics worked out well, and the addition of some silver bolts around the truck helped with the pop and details. Up front, the grille got one of those stainless grille skins ( haha painted ) and we kept the winch and bumpers as is, it's a simple and tough look that we still like. 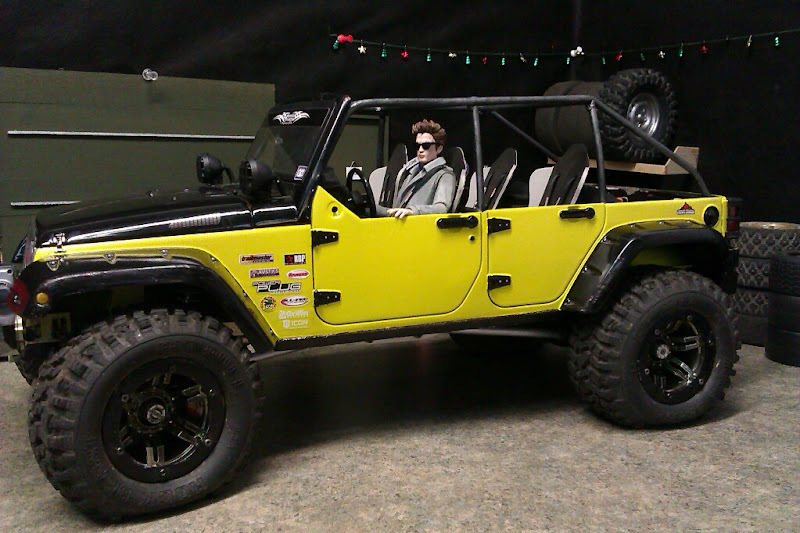 Not much change in the interior space, added the Jeep sticker, but that's it. In the rear cargo area we are doing a major change though. That area had a flat top cover, some effort in scale stuff to cover the massive wire pile back there, but that's all gone now. The wiring was moved all to the passenger side, and the drivers side will get a full dropped floor in the truck, for scale stuff, and a proper spare tire holder on the passenger side. Dana and I came up with an idea for the roof and hatchback panels. I'm anxious to get those done in the near future and installed, I think it will help the look a whole bunch! I've always had a soft spot for this truck. Love the guts. Can't wait to see the rebuild! 1 question though, is it correct there is a small difference in the Cross Canyon chassis in your webshop and the ravenbuild? In the shop it seems from the belly the rails goes straight the aft, where as in the ravenbuild is seems to be in mutiple levels. Yes, as listed in the first post, this is custom rails. We made them slightly different due to the trunk floor. Thanks for clearing that up, good question! 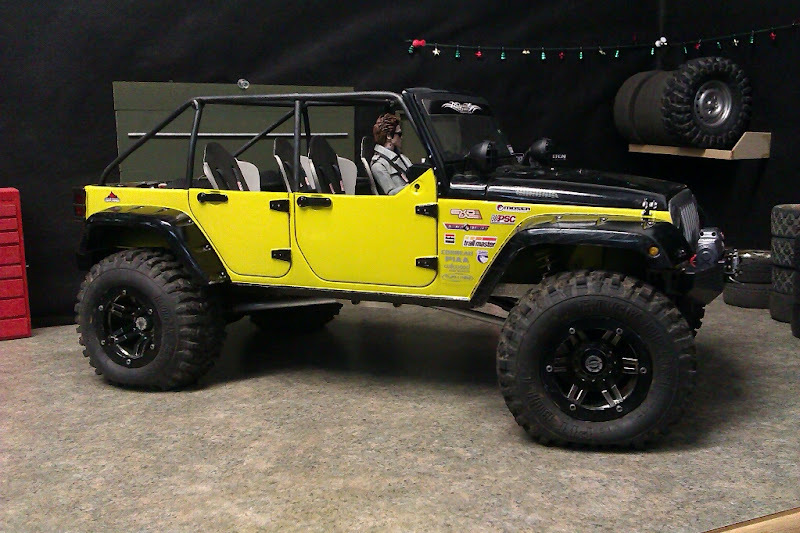 I like it in yellow, have you considered killing the shine on the flares or texturing them Chris? Wow! I love the new color! Can't wait to see more new mods! Definitely flat out the flares. Nice work Chris!